This hauntingly beautiful arrangement features the gentle feel of a lullaby and an interesting mixture of major and minor modes. 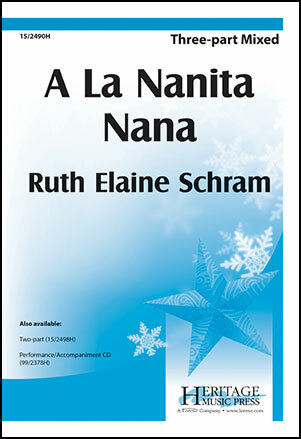 Adapted and translated from the traditional carol, it alternates between English and Spanish lyrics, with phonetic subtext for the Spanish. The guitar-like piano accompaniment enhances the Spanish flavor very nicely!